Is Crypto20 the Best Way to Invest in Bitcoin Today? Index-based investing has always been an excellent way for traders with less capital to gain access to markets with a traditionally higher barrier of entry. Normally, a trader would have to trade hundreds or thousands of different stock or asset options, but with an index fund, it's possible to trade hundreds of assets at once – and all with lower overheads than a traditional mutual fund. Index funds represent a way to reduce trader risk and they have generally performed better than more expensive actively managed funds. This makes the index fund approach ideal for investing in cryptocurrency. It allows traders to juggle multiple assets without the hassle of negotiating the purchase of numerous cryptocurrencies. The idea of a cryptocurrency index fund has started to catch on. Unsurprisingly, these funds aren’t simply offering an index investment option but they are also seeking to offer new and often novel spins on the idea. One of the most innovative options out there is Crypto20. And in order to understand what makes Crypto20 so interesting, we first need to understand what an index fund is and how one can operate within a cryptocurrency context. Are Index Funds Viable in a Cryptocurrency Context? How Do Cryptocurrency Index Funds Work? Who Should Consider Investing in Crypto20? Put simply, an index fund is basically a mutual fund that is linked to a specific index and mirrors its performance. These funds are often linked to market indices such as Standard & Poor's 500 Index (S&P500). An index fund differs from a mutual fund because it's not actively managed. Rather than actively picking assets in an attempt to beat the market, the manager will simply adjust the weight of the investment to match the performance of the Index. The “passive management” practiced for index funds gives them a huge cost advantage over actively managed mutual funds. If you use a mutual fund you are looking at a commission cost of around 1.5%. This means that your fund needs to grow by at least 1.5% before you can begin to make a profit. In comparison, an index fund only has an expense ratio of around 0.2%. However, it should be remembered that index funds mirror the market. You will make gains in bull markets and take losses in bear markets. This makes them more of a long-term investment than a short-term one. The important thing is to attempt to hold your nerve so that you don’t miss out on the recovery. In short, index funds are a passively managed kind of mutual fund that allow traders to take advantage of a wide range of assets with very low costs. In many ways, cryptocurrencies are the perfect example of an asset that is best utilized as part of an index fund. The returns on Bitcoin and other cryptocurrencies have been incredible, but many traders are put off by the complexity of actually obtaining and actively trading cryptocurrency. Not only are traders confronted with complex articles about hashpower, mining and SegWit, but they also have to navigate the huge number of choices available in a highly volatile market. While it is possible to make money by speculating on cryptocurrency, it's not particularly easy or safe for the casual trader to break into a highly technical volatile market. This is where index funds step in. Rather than having their capital stored in many different offline cryptocurrency wallets, an index fund gives traders the chance to instead invest in a large number of cryptocurrencies all at once. This approach is different than the approach offered by CFD brokers who allow traders to speculate on the value of individual currencies using contracts for difference. Rather, traders are able to take advantage of the overall shift in the market by investing in a single fund. This has a number of advantages for the average cryptocurrency trader. Specifically, it allows a trader to gain access to a large section of the market without worrying about juggling all the different assets themselves. An index fund is particularly cheap as they are not actively managed, reducing any overheads and allowing traders to profit. Nevertheless, there are a few downsides. Primarily, you will be unable to take advantage of the secondary benefits of physically owning a coin. For example, owners of NEO are able to benefit from the generation of GAS, which acts as a sort of interest on the asset. However, if traders are interested in a safe long-term investment, index-based investments can be a viable option. A cryptocurrency index fund works in much the same way as other index funds. The portfolio manager picks a number of assets and then weights the portfolio appropriately to the chosen index. This method has been used in investments for years now and it tends to outperform traditional “managed” accounts, which is why index investments have proven to be a deeply popular choice for traders. The main difference between a cryptocurrency index fund and a traditional index fund, like the S&P 500, lies in the asset itself. Cryptocurrencies are highly attractive but highly volatile investments. This means that many traditional traders are wary of investing their money, despite the potential returns. Index funds in cryptocurrency are designed to help mitigate this risk by spreading out a trader's capital across a large variety of currencies. The manager, be it a computer algorithm or human being, will then adjust the weight of the portfolio to suit the market. This approach is particularly useful for cryptocurrencies which are volatile complex investments. Given the disruptive nature of cryptocurrencies, it shouldn’t be surprising that cryptocurrency index funds take some novel approaches. For example, Iconomi is designed to give traders and managers a platform on which to connect. Digital Asset Manager’s design a portfolio and pitch their strategy (often index-based) and then traders can choose to become involved. Essentially, this allows managers and traders to gain access to each other without going through traditional institutions. Another approach is the one taken by Bittwenty. They take the approach of opening a blockchain where users can buy “Bitshares” that they use to invest in a range of different cryptocurrencies. One of the most interesting newcomers on to the cryptocurrency index funds scene is Crypto20. This is a fully-developed platform funded by an initial coin investment (ICO) that is designed to improve on traditional index funds using blockchain technology. Crypto20 is a fully tokenized index fund. The goal of Crypto20 is to allow mainstream traders to become involved in cryptocurrency investment. They do this by taking what they believe works from traditional index funds and stripping away what doesn’t. This means that they operate without broker fees and withdrawal fees, and you are able to manage all of your assets with a single token. The index fund links the top 20 cryptocurrencies in a portfolio that is automatically rebalanced every week by the smart algorithm. Investors hold their share of these 20 companies through Crypto20's token, CR20. Crypto20 is designed to be a complete product and, as their white paper demonstrates, it has a number of unique features that help make Crypto20 an interesting choice for investing in Bitcoin and other cryptocurrencies. What Separates Crypto20 from Other Index Funds? Crypto20 styles itself as the next logical step in the evolution of index funds. It utilizes the same investment techniques as an index fund but also uses blockchain technology in order to drastically reduce costs and potentially improve on the already cost-effective techniques used by index funds. While choice is generally considered a good thing – too much choice can paralyze a trader. And when it comes to cryptocurrency, there are literally thousands of different choices. Crypto20 is designed to help traders by narrowing down their choices to 20 coins. This helps open up cryptocurrency to mainstream traders. The “token as a fund” approach taken by Crypto20 allows the index fund to cut costs as well as provide a number of features. Essentially, rather than investing in a fund directly, traders will purchase tokens (or CR20) that represent the holder's stake in the fund. CR20 is where many of Crypto20s most interesting features are found, including feeless withdrawals and the ability to conduct 24/7 trading without being tied to trading hours. Crypto20 also has significantly lower funds than traditional funds. Typical charges are just 0.5% per annum. This means that, in order to profit from your investment, it needs to increase by at least 0.5%. This works because the assets are passively managed using data-designed pre-determined rules. The fund will adjust its weight based on how these rules believe the market will perform. This allows the fund to maintain its value, even if some of the original assets begin to perform poorly. One of the most interesting aspects of Crypto20 is the “blockchain transparency”. This means that traders are able to track the underlying assets of the tokens and see exactly where they are at all times. A transparent approach like this helps users understand where the value of their C20 token is coming from. What Assets Does Crypto20 Invest In? As the name implies, Crypto20 is designed to allow traders to invest in the twenty largest cryptocurrencies with a single token. No single cryptocurrency will ever comprise more than 10% of the ledger. This is to prevent a single currency from dominating the ledger and to prevent a larger risk to traders. This balanced approach is designed to reduce the level of risk posed by the extreme volatility that characterizes the cryptocurrency markets. The currencies are rebalanced every week based on market capitalization. All of these assets are held within the CR20 token, providing users with a way to invest in multiple cryptocurrencies with a single token. How Does the CR20 Token Work? CR20 is what makes Crypto20 such a unique service. Each token represents a share in the overall fund. Investors are able to liquidate this token at any time through the “intelligent contract” that will allow them to recover their funds and withdraw them without paying any withdrawal fees. The CR20 token represents the trader's stake in the overall fund. The more tokens you possess the larger your holding in the fund is. Every token sold was created and acquired during the Initial Coin Offering or ICO that began on the 16th of October 2017 and ended on the 30th of November 2017. Once the Initial Coin Offerings are complete, there will be no other CR20 tokens issued, users will have to trade for them. If a user wishes to access their funds then they can simply liquidate their CR20 tokens. A smart contract will allow them to recover the underlying assets and the token is sold on an open exchange. This is designed to ensure that the tokens price can never fall below its underlying assets. Crypto20 is not designed for dedicated cryptocurrency traders. If you are already actively speculating in cryptocurrency then you will be unlikely to make more money using an index fund like Crypto20. Rather, the index fund is aimed at mainstream traders who want to become involved in cryptocurrency investment but are put off by the extreme volatility of the market. The approach taken by Crypto20 should help reduce some of the unacceptable market risks for smaller or more bearish traders. By balancing 20 cryptocurrencies and adjusting their weights, it allows you to take on a large well-hedged portfolio that is unlikely to be completely wiped out in a flash crash. An index fund like Crypto20 has the further advantage of allowing mainstream traders to invest in all top twenty cryptocurrencies with a single token. This will be far more manageable for less tech-savvy traders. That being said, experienced traders will likely prefer more control over their capital. 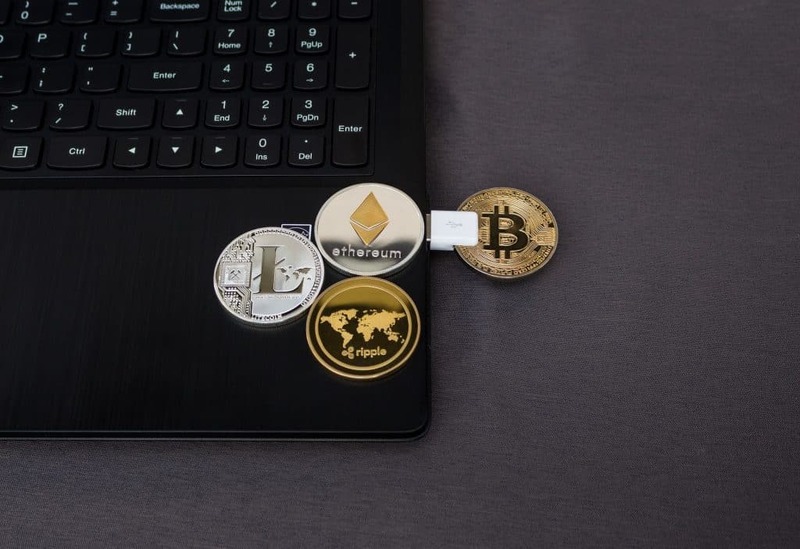 If you have a little more experience then you may want to consider looking at CFD trading options or even invest directly in cryptocurrency tokens. Is Crypto20 a Good Investment Option? At the end of the day, this is for you to decide. Crypto20 offers an innovative low-cost way to invest in cryptocurrency. However, you will still be investing in a highly volatile market and there will always be short- and long-term risks that could result in you losing all of your initial capital. If you decide to take advantage of Crypto20 then remember that you are risking all of your investment. You need to make sure that you follow the golden rule and only invest money that you can afford to lose. If you do that, then Crypto20 could be an excellent way to start investing in Bitcoin, Ethereum and other cryptocurrencies.